I have a similar problem to a question I’ve seen posted here before. I have a high efficiency water heater...and the sensor keeps shutting it off as the intake pipe outside gets full of frost. 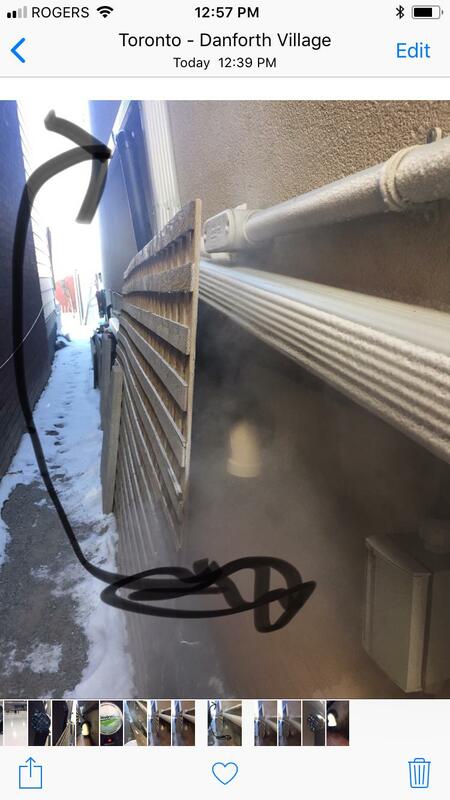 I’ve monitored it and noticed it gets the most frost from when the furnace vents out the return air, blowing warm moist air outside, and with a gust of wind, the warm air gets directed into the intake thus condensing and causing it to block up with ice and frost. Wondering if there is a clever way to modify either my exhaust or intake to prevent the re-circulation. And yes I know the black poly is wrong, should’ve been white ABS.